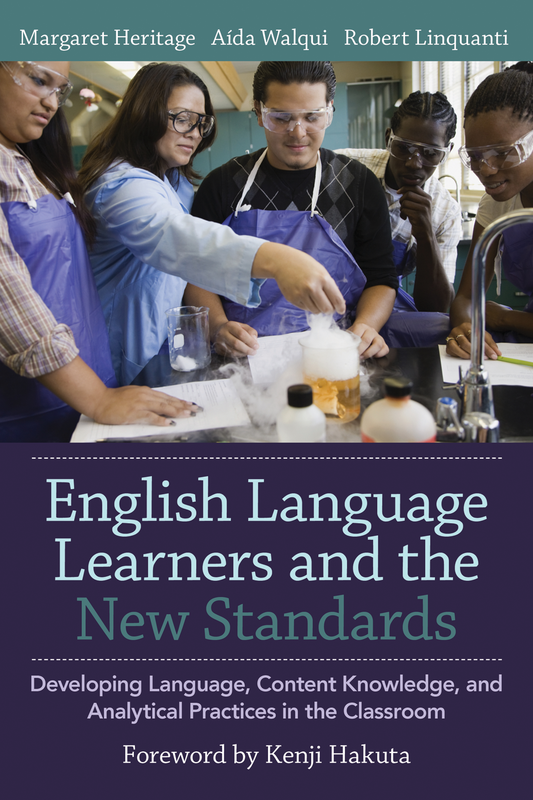 This brief, written by Aida Walqui of WestEd’s Quality Teaching for English Learners, explores these three interrelated themes and provides a rationale for educators to rethink and reinvent quality education for English language learners and multilingual learners. 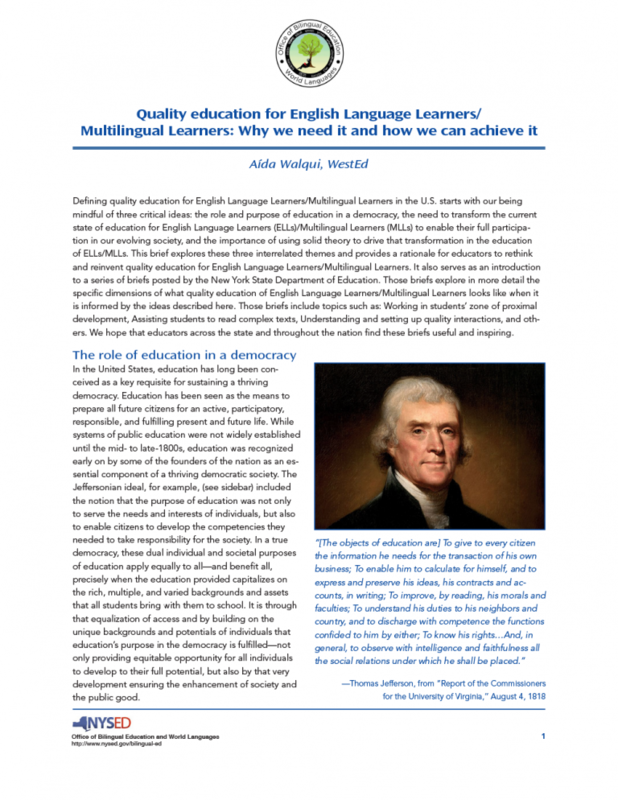 The brief also serves as an introduction to a series of New York State Education Department-published briefs that explore the dimensions of what quality education for English language learners and multilingual learners looks like when informed by the ideas described by Walqui. De-Mystifying Complex Texts: What are “Complex” Texts and How Can We Ensure ELLs/MLLs Can Access Them? 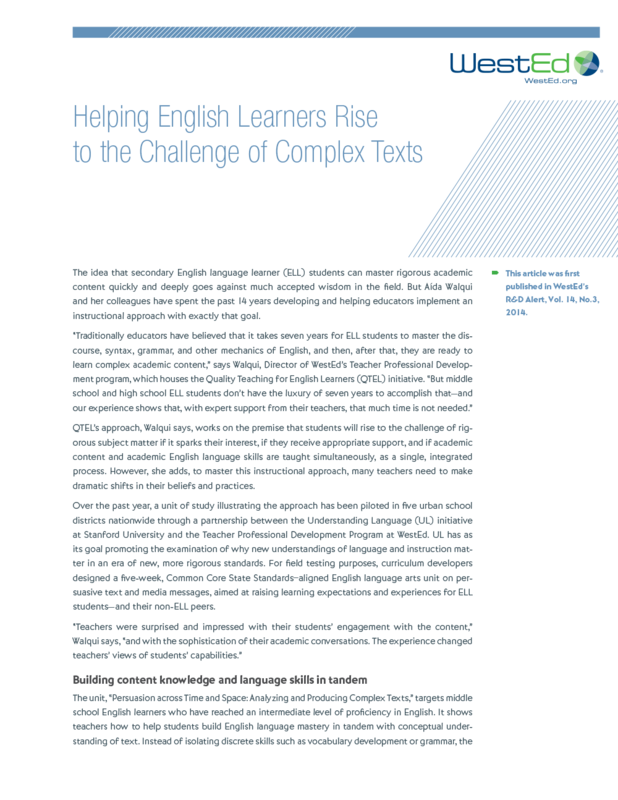 English language learner students at the secondary level can learn rigorous content and academic English language skills much more quickly than educators have traditionally believed. Read about an instructional approach designed to help achieve this goal.